This is your very own website for you to enjoy and keep up to date with what the Club is doing. I hope you will find this site useful and your feedback will be welcomed. Check out the updated Events & Tour News with plenty of things to add to your diary. Let us know what you think by sending an email to the editor here. If you would like to contribute to this website then please drop the editor a line. Please also take the time to fill in your Player Profile here. The event was a long time in the making with us slowly getting a squad together for an extremely well put together event. A few days before we had our squad team-building at the FCC, and if that was anything to go by we thought we’d do well. This event, one of the ‘must-dos’ for the season is a considerable outlay for the Club, but for the fortunate participants the organising is top notch with coloured clothing provided, live coverage on Facebook, umpires, scorers, programme, photographer and social media experts assigned to take care of us all. Not to mention free-flow beer, breakfast and lunch all provided. We just provided the flags, mascot and ourselves. The KCC draw had it in for us, with two early morning starts for the weekend event. Our team tent was however kindly placed next to the Peroni Beer Garden. Was this more preparations to see LCC fail? The weather was overcast on Saturday but the ground looked fabulous, the team tents off to one corner and the beer garden sandwiched in between them. Our first match saw us beaten by Merton Warriors/Charlie Bears before we got on our winning ways, soundly beating ‘Wings’ and pulling the plug on ‘Pacific Basin’. Making the most of the Peroni beer garden, we stayed well into night-fall and joined in the conversation with old & new friends before stumbling our way out for the night. A wickedly early start against tournament favourites KARP the next morning saw a very one-sided game as we lost heavily to a team taking things very seriously indeed. The sun came out as we took on Anglo-Eastern to see if we go into the Cup or the Plate round and once again we were well beaten so that lose took us into the Plate semi-final - against our friends and foes, Charlie Bears. The game of the tournament began with CB’s running up a massive score of 95/0 and it appeared game over as far as they were concerned. 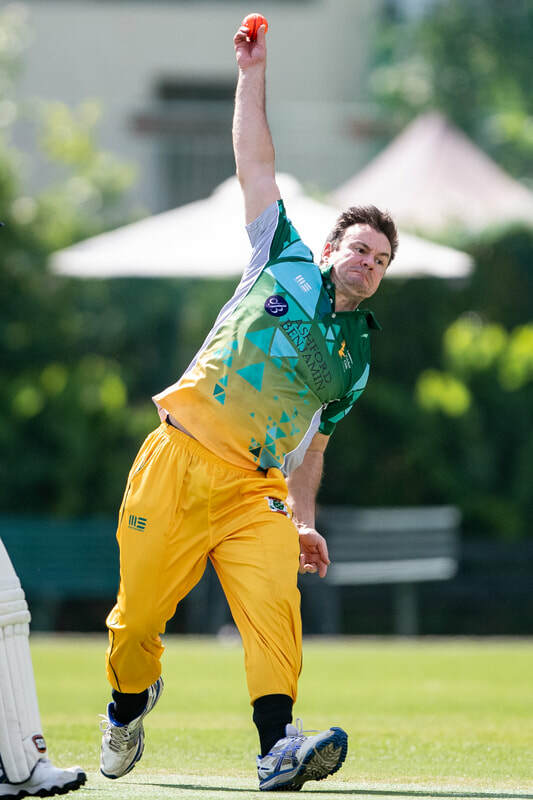 That certainly wasn’t the attitude from LCC as Woodsy describes the chase … Lamma CC chasing a difficult 96 to win against arch rivals, The Charlie Bears. Richie retires after a brilliant 30. Woodsy wobbles to the crease. 9 runs needed to win from 3 balls, closes eyes, swings hard, gets a tiny bit of bat on it. One run. 8 needed to win from 2 balls. Sammy Chall on strike. Cleverly places the ball through the keepers hands for 4. Four runs needed off the final ball of the match for a win that would place Lamma CC in the Plate Final. Sammy Chall spots a short one early and pulls it to the square boundary and helps himself to 4 more. Lamma win in a memorable chase and are through to the Plate Final! The final is again against Merton Warriors/Charlie Bears and we bat first. For the first time Boots failed with the bat and we make slow progress with the score and manage to make 57/3. We made them work hard in the chase as we chipped away their wickets and not giving many boundaries nor easy runs, but unfortunately the score set was not quite enough and they got the winning runs with 2 balls to spare. It didn’t seem to spoil the enjoyment of the weekend and one direction from God was carried out as we drank the Peroni draught dry! Big thanks go out to Charlie Bourke and the KCC for organising the event and making us all so welcome. We would also like to thanks Royce and Wardy (and his James) for coming down to offer their support, and of course Godders for leading his squad along its merry way. Eager anticipation awaited our first game of the new season. CCC Hung See won the toss and batted first, they got off to a good start and were going nicely until Akbar, our returning Junior to Lamma, got the first wicket of the season. Nikhil, Akash and Akbar were bowling well and tight. Enter the McDonalds, Big Mac and Cheeseburger. 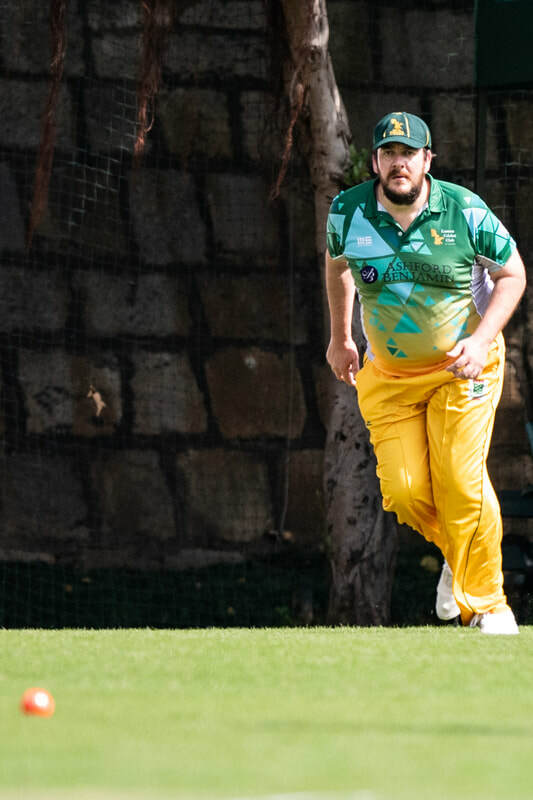 4-21 off 7 overs to Cheeseburger and 4-11 off 5 overs including a hat-trick collapsed CC Hung See to all out for 79, losing their last 9 wickets for a measly 46 runs. Woodsy bowled very tightly for 1-0 off 21 deliveries. Unplayable was heard from the opposition. First innings over at 29.3 overs. Lamma set about its run chase losing only one wicket in 11.5 overs at a run rate of 6.76 runs per over. Becksy, a solid 37, red ink for Mads, 25 no and Brenton 11 no. Great win and a great start to the season. A traditional grudge match with many social beatings and wins between these two teams. Lamma CC won the toss and bowled. HKU got off to a flier with Akash and Ron tight in their overs but Royce, Brenton and Tom going for a collective 127 runs in 21 overs, Tom getting two wickets and Brenton one. HKU a competitive 4-191. Lamma CC batted and started poorly losing 5 quick wickets tumbling to be a precarious 5-46. Enter Captain and Vice Captain. Both stood up for Lamma and showed their strong leadership and cricketing abilities to steer us within sight of victory. 126 run partnership changing the game. Akash came in to join Boots and see us win with 4 balls to spare. Outstanding 77 no by Boots, 47 by Sarge. Great win against a tough opposition. Lamma 2 wins, 0 losses. A game with risk as Kai Tak has over 45 pilots on its roster, and depending on availability, the team is always competitive and sometimes more so. Lamma CC won the toss and elected to bowl. Royce picked up the two openers and Brenton got an early one to have Kai Tak at 3-45. 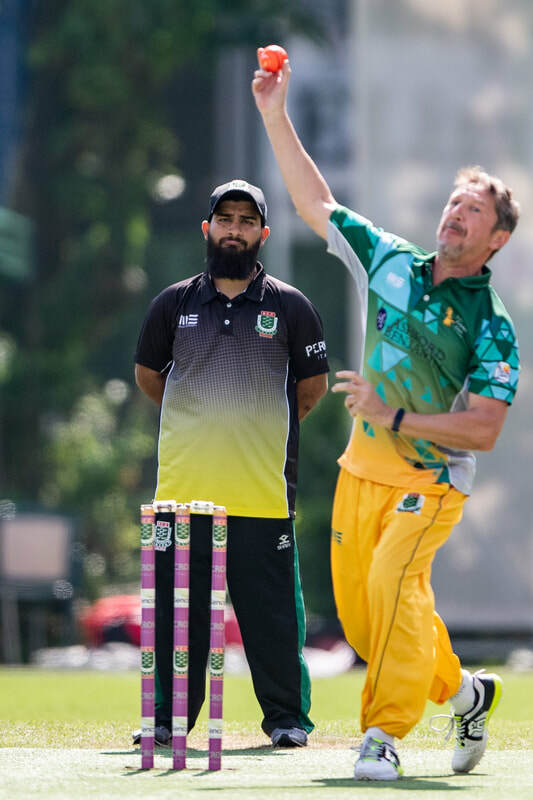 A brief middle order recovery saw Kai Tak back in the game but wickets fell regularly with some excellent catching by Mads in slips a scorcher, Boots three catches behind the wicket, Sarge two in play and Brad Bester another scorcher. Kai Tak out for 139 in 33.3 overs. Woodsy 3-25, Royce 2-24, Brenton 2-29 and Ron 2-23 – a great bowling effort and total team effort. The openers got off to a solid start losing the first wicket at 50, then losing two more to be 3-65, Kai Tak back in the game. Enter Brad Bester and Sarge, 63 run partnership and game over. Brad finishing 45 no, Becksy 31 and Sarge 22. Another great win against good opposition. Lamma 3 wins, 0 losses. Lamma CC won the toss and batted. An expected win, but never a given. Mads started well and another 50 run partnership between the dynamic duo saw a solid start by Lamma. Becksy first out at 1-57 with a run rate already past 9 runs per over, saw us off to a flyer. Wardy came in and continued the onslaught with Mads out at 2-126, Nikhil came in to keep the acceleration, Brad hit out strongly and 4 of the first 6 bats had strike rates in excess of 100 and Brad, Becksy and Nikhil in excess of 170. Lamma CC a very competitive 7-266. The bowlers took charge and wickets fell quickly, Nikhil 1-8 off 6 exceptional overs, Woodsy 1-8 off 5, Brenton 3-14 off 6 and Royce 2-1 off 2.1 which rounded off a great bowling effort. Pioneers all out for 67 with extras top scoring at 17! Lamma CC, clinical with a great all-round display. Lamma 4 wins, 0 losses. Mixed results vs LSW Spartans in previous years, always a tough team to beat, remembering we had them 9 wickets down with them 26 to get and lost. Lamma CC won the toss and bowled. Nikhil all fired up, decided today was his day. Nikhil went through LSW like a hot knife through butter. One batsman could muster 50 no for them, but all the rest single figures except extras on 12. Nikhil finished with 5-18 off 7 overs, an extraordinary performance, Brenton 3-24 off 6.3 overs and Royce 2-19 off 5 overs. Mads, Brad Bester, Sarge and Ritchie taking good catches. 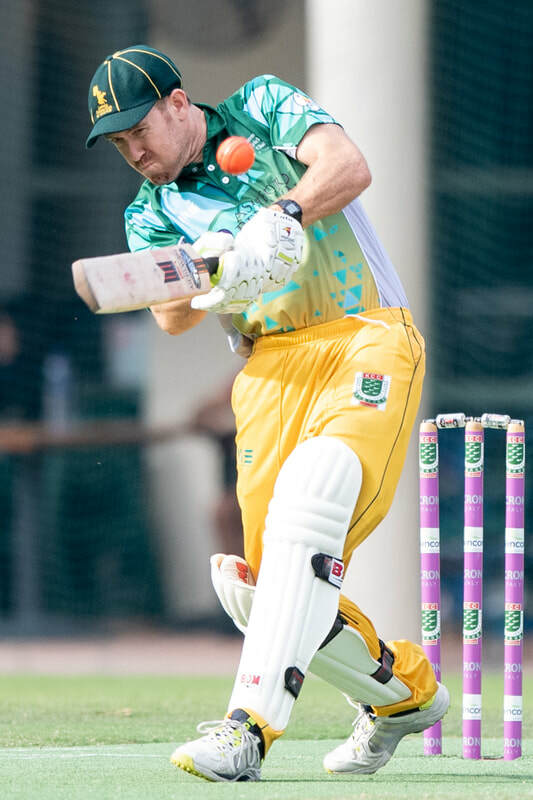 The batting started shakily with Mads out without scoring, Wardy and Brad Bester taking us within 10 runs for victory when 2 quick wickets fell but Lamma CC was over the line. A comprehensive win. Lamma CC 5 wins, 0 losses. Another tricky team with mixed results in the past, with Brenton and Royce former Centaurs players. Will Lamma CC stay on a roll? A strong Lamma CC team on the park, Centaurs won the toss and bowled. Our top 4 players really shone with Mads and Becksy another 50+ run partnership. Mads out for 42, Becksy 27. Enter Akbar and Brad Bester, a 104 run partnership with Akbar out for 84, Brad not out 51. Lamma 3 for 216 after 35 overs. Centaurs off to a strong start, run rate over 7 off the opening bowlers, enter Vinnie, Akbar and Royce. Nasir was batting well for Centaurs before a lightning throw ran him out by Royce. Vinnie chipped in with 3-24 off 7 overs, Akbar 3-2 off 3 overs and Royce 3-7 off 2.2 overs. Brad Bester taking his usual amazing catch much to the delight of Lamma. Excellent and well done considering Centaurs were 2-81 off 13 overs going strong to be all out for 116; the remainder at 8-35. Another outstanding team effort. Good win. Lamma CC 6 wins, 0 losses. Lamma CC has had the wood on Laguna Gully for a couple of seasons now. Another traditional rival. Lamma CC won the toss and elected to bowl. Laguna started well but was pegged back by Lamma bowlers. At 3-39 after 11 overs Lamma CC appeared in control. Pranav of Laguna CC, an excellent all-rounder, came in and together put on 107 run partnership to change the game. Our usually frugal bowlers were being hammered with Akbar 2-45 off 7 overs and Tom Woods 2-45 off 6. Brenton also had an off day going for 0-29 off 3 overs but took 4 good catches. Laguna CC 8-197 after 35 overs, but gettable. Mads and Becksy again opened well, scoring 68 for the first wicket and after only 11 overs Lamma CC looked on target to win. At 1-92 Lamma CC slumped to 6-111 with the engine room of batting out to two direct hit run outs. Brenton 27 no and Vinnie 26 runs tried hard with a 38 run partnership but Brenton was left stranded after running out of partners. Mads 32, Becksy 34, Akbar 24 led the way. Lamma CC all out 170. The run rate was down a little which added extra pressure. Beaten on the day. Lamma CC 6 wins, 1 loss. A real test for Lamma as Taipans had recently come back from Division 1 and usually ended up on top of Lamma CC. Lamma CC was smarting from the previous week. Taipans won the toss and batted first. Vinnie and Akash opened the bowling with wickets falling regularly. Taipans were 5-58 with the dangerous Manjinder out to Brenton; Lamma appeared on top. Some lower order resistance saw Taipans work their way to 133 all out after 34 overs. 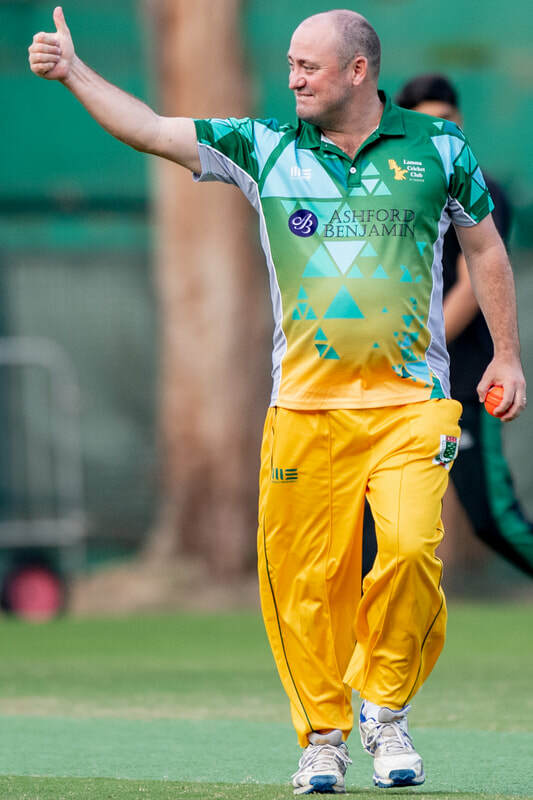 Great bowling to keep the run rate low, Vinnie 4-27 the star standout, with help from Woodsy 2-21 and Brenton 2-24, both off 7 overs. Catching again another great team effort, with Boots and Brenton taking two catches, Akash, Mads and Wardy adding another three catches. Four key bats, Mads, Becksy, Ward and Bester back in the pavilion, we were struggling at 4-29. Enter Boots and Sarge, heroes against HKU repeating an excellent leadership partnership of 77 runs taking the game away from Taipans. Sarge 44no and Boots 41 runs the highlight of the batting. Lamma CC a triumphant and comprehensive win. Lamma CC 7 wins, 1 loss. Epic moment, epic game – first vs second. Lamma CC won the toss and elected to bowl. Vinnie struck early and a Brenton run out had KCC on the back foot. Things stabilised but a rush of wickets from Brenton and Akbar cleaned up KCC. Nikhil bowled well without luck with 7 overs 0-20. Brenton took 4-17 and Akbar 3-21 both off 7 overs and were the chief destroyers. Mads took two of his usual catches in slips and helped start us on our way and Vinnie took 2-19 off 5 overs. Two early wickets gave hope to KCC and Lamma at 2-3 was reeling. Enter Justin Heathcote and Akbar who bought us home for an epic win in the 23rd over. Akbar a fine 51 no and Justin 43 no. Lamma top of the table and celebrations until the wee hours. Lamma CC 8 wins, 1 Loss. Playoff time with the top 4 in a contest to finish the season. Could Lamma CC repeat their epic win? Lamma CC won the toss and bowled. Wickets came quickly and at 5-47 it appeared a repeat of our March game vs KCC. Najeeb and Afzal out cheap, enter Captain Farooq hitting 110 no. Nikil took our first 4 wickets for 23 and Brenton took 2-17, both off 7 overs. Mads took a fine catch, as did Justin. Brenton and Boots our bucket catches did not let us down taking two catches each. KCC finished a respectable 7-191 off 35 overs. Lamma got off to a good start with Ching hitting at a strike rate of 168. Unfortunately, wickets fell and scores were all under 10 except Sarge. At 7-104 Lamma CC’s position looked bleak. Enter two more Lamma heroes; Vinnie and Nikhil were determined to get Lamma promoted. Together they put on 79 runs for the 8th wicket partnership before Vinnie was caught behind. Nikhil was next to go with the win in sight. Two unlikely batsmen at the crease ... 5 to win, 4 to draw. A single put Woodsy on strike and with some wides and a bye 2 runs needed to win. A Royce cut deflected but 2 runs and a massive Lamma win. See the video below, all very exciting stuff! Lamma CC promoted, a massive Club goal achieved. Lamma CC 9 wins, 1 loss. Promotion assured, now for winning the league. Lamma CC won the toss and elected to bat. Boots and Ching opened and quickly Lamma CC was precariously positioned at 2-31. Enter Akbar and Justin. To say these were the two best innings of the year would be unfair to some magnificent knocks, however, it was magic to watch them both put on a 185 run partnership, with Akbar finally out for 146 and Justin for 88. Their strike rates were both over 130+ the game went on its end with Lamma at 6-281 after 35 overs. Taipans never really got going and were all out for 93 in 23.3 overs. Akash 3-19 off 5 overs, Brenton 6-28 off 6.3 overs and Woodsy 2-17 off 5 overs. A superb bowling effort. Promotion assured, League won. Lamma CC 10 wins, 1 loss. A game to complete our season. A game to forget. LSW won the toss and elected to bat. What stood out was the number of bowled in this game with seven bowled, one run out and one caught. Brenton 3-28, Ports 2-29 and Woodsy 2-42 all off 7 overs having an impact. With a mammoth 53 extras – yes 53, top scoring, LSW Spartans were 9-209 at 35 overs. A far departure for Lamma CC this season. A total of 34 wides for the game. Lamma CC set off on task with a number of players getting a start but 32 our top score by Vinnie and 31 from Brenton was not enough. From 6-86, finally Lamma CC crumbled to be all out for 159, the 53 extras making a huge difference. Lamma CC 10 wins, 2 losses. 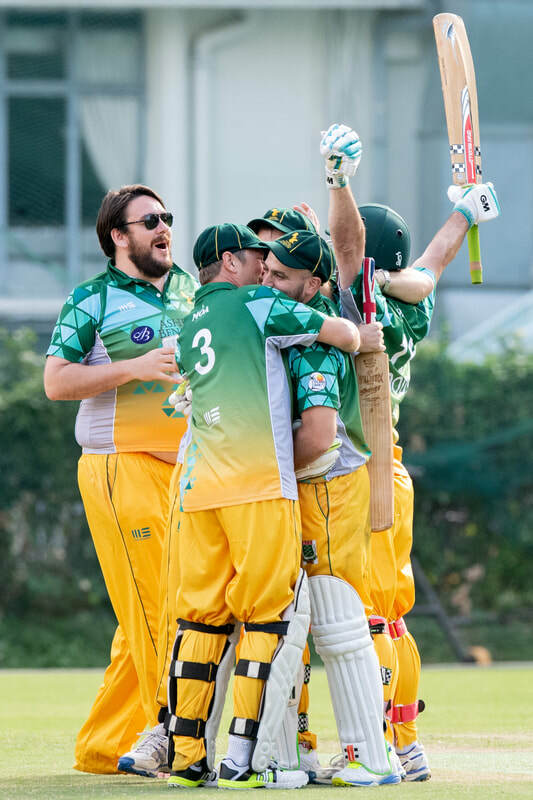 An incredible year for Lamma CC and only the second time in its history winning a HK League Championship. Batting in partnerships – four times we were in diabolical realms only to see our Captain and Vice Captain bat us superbly back into the game, plus our three all-rounders contributed at stages. We had 3 opening partnerships over 50. We won the league with the above stats! Club nets have begun as we prepare for the new challenge in the Saturday Championship Division 1, the many tournaments and social games. One of Scotty or Waqas will again be coaching us. 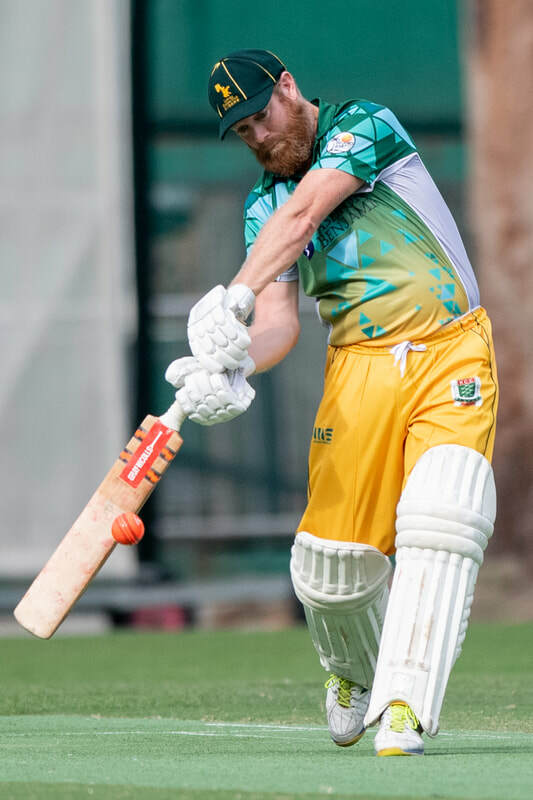 The nets will run on most Wednesdays at KCC from 19:30 to 21:00 and we will be limited to 12 players per week as per KCC rules (full schedule of nets will be up on TeamSnap). In the event that more than 12 players sign up (which must be done via TeamSnap) attendance shall be determined by the Team Manager with attempts to give equal opportunities to all Club Members. Cost is $100 per session payable to the Vice Captain or his deputised collector. We are also very fortunate to get the opportunity of nets at the HKCC on an ad hoc basis thanks to having a couple of LCC Members who are also members there. As with the KCC, there are also rules and limitations there to be respected at all times. These sessions will only be announced through the official LCC WhatsApp group and are on a first claimed, first served basis unless stated otherwise. We have been very busy in the break between seasons and we have a whole range of things to keep you occupied for the upcoming Lamma CC season. First up is if it’s been all training and no play with your team-mates in recent weeks, been on holiday with the family or simply been spending way too much time on your X-Box (that’s not a metaphor for anything), it’s about time we all got to reacquaint ourselves. There’s no better place for an informal beer or five at The Island Bar, Lamma. It’s been a few months since our successful AGM there and I’m sure you’ll agree that Brad makes us most welcome at his fine establishment. The evening of Thursday 24th is the date for this informal gathering; blazers are not required, flip-flops and stubby holders should be. Moving onto another island, we’re looking at Saturday 20th October for the Beach Cricket Tournament in Mui Wo, Lantau. Those of us that played in that tournament will remember it as a very fun day for players and families with beers, bbq, dj, and trophies. If you missed it last time, you won’t want to miss it again, and if you played last year, I’m sure you’ll want a repeat of the day. There will be much more news on this later in the month. Also coming up in October should be the KCC International 6’s where we’ll look to sit together in our blazer finery for the benefit of drawing attention to ourselves and being on TV. Another KCC 6’s event is the KCC Corporate 6’s in mid-November. I am sure you would have seen the recent TeamSnap message about LCC’s entry for it. It’s a great event by all reports, and if you have signed up for it, then lucky you! This tournament will be shown live via YouTube, but it would be great to have support down at the pitch if you are not in the squad. Hot on the hills of the Corporate 6’s, we’re back at the KCC for the 1st leg of the Kow-Lam Cup. The 2nd leg is due in mid-April. We are holders of that trophy and we’d like to keep it that way. We will look into getting a pitch at PTS in early December for the hugely popular Intra-Lamma where the whole Cub plays amongst itself, and a week or so later there will no doubt be the Christmas lunch at Forbes. February sees the Club tour return to Chiang Mai, Thailand, CHK’s T20 Blitz, the Cricket Quiz Nite at The Island Bar and we are penciled in to play a touring team from England at the KCC. Over the Easter weekend in April is the Thalang International 7’s (yep, not 6’s) which the Club will be entering. It’s another very popular event and as it is held over the Easter period it gives the many teachers in our Club an opportunity to attend. Expect an end of League Season dinner celebration at the end of that month. 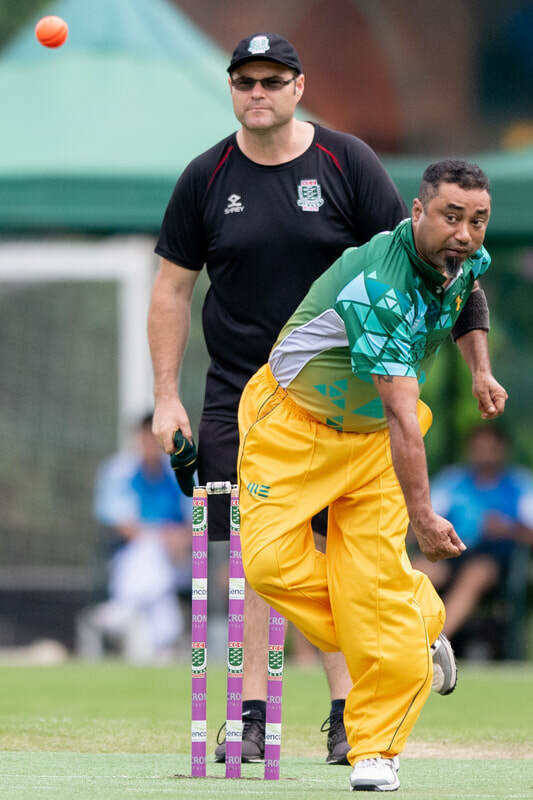 If that isn’t enough, we expect to have a number of games lined up against our old friends at HKU and one or two Friday afternoons up at The Gap against The Taverners. Phew! Furthermore, at the end of this season, which seems like an age away at this time, we are looking at a 2 week tour to England – more of that exciting development can be found here. Lamma CC is very happy to announce our main title sponsor for the 2018-2019 season, Ashford Benjamin. Ashford Benjamin is one of the leading legal search and recruitment firms in Asia, with over 30 years of combined experience placing law firm Partners, General Counsel, and lawyers at all levels across the region. Lamma CC are also very pleased to announce MOA beer as a new sponsor for the 2018-2019 season. MOA beer is a very popular craft beer brewed in New Zealand since 2003. We are proud to carry their logo on our shirts, and look forward to refreshing ourselves with their very tasty beers after a hard day in the field! I am sure you are aware of our recent updating of all our gear for the coming season. We hope you have put your order in for the many fine items that our Club supplier, HighLife, produce for us. This season sees a change of our primary sponsor from iTrust to Benny’s company, Ashford Benjamin, to take to the fore. Benny, as our Club’s Sponsorship Manager, has also secured a new sponsor, Moa Beer, a very good drop if I say so myself. More information can be found elsewhere on this page. Lamma CC would like to thank iTrust for their support over the past number of years and during a succesful time for the Club, it was very appreciated. Of course with new sponsors it means new logos on our shirts with an opportunity to update a few things. You may have noticed at the top of this page a slightly rearranged LCC logo. Not only this, we have added 2 stars below it, a gold one for winning the Saturday League in the 2002-03 season and a silver for winning the 2nd division Championship last season. This logo will be carried on our Players Shirt and let's hope there are many more stars to add in the future. One of the most notable and classy updates is that we will have our own LCC joining number and initials on our sleeve, just like test countries do on their shirts. Researching of all the previous members took quite a bit of time with going through some very old scorebooks and a Club Founder’s memory, but after being satisfied with the comprehensive list we put them into the design of our new Club Players shirts. We think that’s pretty special. LCC branded trousers are again being produced with minor improvements and additions made from the last run such as sewn in towelling to help dry your hands or ball in sweaty or wet conditions, and sewn in front creases. We’d received comments about the “skimpy” shorts so we have now based the cut on a popular brand of shorts. These have a sewn in undergarment, 2 pockets and overall, have a little more room. We have resurrected the white polo shirt for a remake and have increased the quality of the material. It does not carry a sponsor so it can remain permanently in date and these are a popular gift item. To quite literally top this off, we have a new design of baggy green in production, looking very smart with its new yellow piping design. A note about the tournament batting clads, we have 4 designed sets of batting pad clads and one set for the w/keeper pads on order. These are Club owned for use in the various tournaments we'll be participating in. If you missed out on the first run of all these garments, we will be doing another run in January 2019 dependent on minimum order quantity reached. 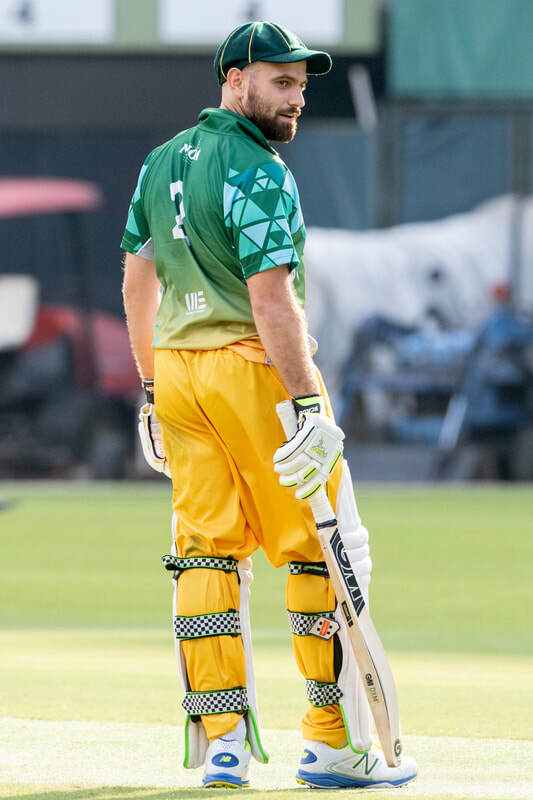 SA's national team colours are the same as Lamma CC's. Brad Bester is only recently the second SA player to play for LCC (Andrew Minnit has the privilege as the first, back in 2006). Now there are heaps. South Africa is the only country in the world to have hosted the Cricket, Football and Rugby World Cup. Quinton de Kock, the current SA w'keeper, is really good at upsetting David Warner. South Africa’s drinking water is rated 3rd best in the world for being “safe and ready to drink”. I think it is called ‘Castle’. South African brewery SABMiller ranks – by volume – as the largest brewing company in the world. Saffers love their beer…but the real reason the brewery is so big? SABMiller also supplies up to 50% of China’s beer. South Africa’s Cape Winelands have around 560 wineries and 4,400 primary producers. Included in the Cape Winelands region is Route 62, considered the longest wine route in the world. South Africa is home to the highest commercial bungi jump in the world at 710 feet. Try getting holiday insurance for that. There are more than 2,000 shipwrecks off the South African coast, most dating back at least 500 years. If you visit SA, make sure you go by plane or train. The South African Rovos Rail is considered the most luxurious train in the world. Another good reason not to sail there. 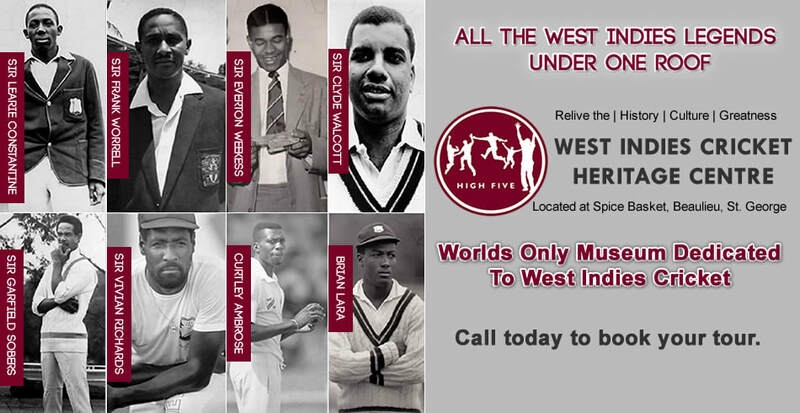 Who would have guessed that our very own West Indian, Club Secretary and regular umpire, Phil Daniels, is the curator of the West Indies Cricket Heritage Museum, (or "High Five" as it is also known). Located in the National Stadium, St George's, Grenada, it is the only museum in the West Indies that fully represents the great sporting deeds that their individuals and once mighty team achieved. Lamma Cricket Club’s Annual General Meeting was held Thursday, 14th June, 2018 at Lamma’s spiritual home and a long-standing sponsor, The Island Bar, Lamma Island. The meeting was attended by a Club record 24 members. • League Captain – AS. Tremendous achievements (winning Div #2). Congratulations to all. • Social & Tour report – RR. A record number of ‘social fixtures’. • Sponsorship report – BC. Thanked this year’s sponsors. Sponsorship looking healthy moving forward. • Team Manager’s report – RM. Outstanding coaching sessions at KCC. • Events and Tours report and future plans – IH. We went to some places; we will go to some more places next year. • Financial – DZ. There is money in the bank. Cautious optimism and continued close control of finances recommended. • Secretary’s report – PD. Note of thanks to Atin Sharma for his contributions to match-day scoring and for umpiring on behalf of LCC. • Chairman’s report – TW. Thanks to all ExCom members for their efforts with a special tip of the hat to outgoing ExCom members Z-Man and Riggers. Outgoing Social Captain, Riggers, communicated a special message to incoming Social Skipper, Goddy; “Make it your own”. 1. WhatsApp groups are kept separate. One for banter and one for official Club business. 2. Members indicate their availability on Team Snap for all events posted (click ‘✓’ if you can, ‘✗’ if you can't, or ‘?’ if you're not sure, but please don't leave it blank). 3. Contribute to the website. Text and photos (with captions) to IH. One designated content collector per event. Big thanks to Tarry and the Island Bar for hosting us! Immediately following the awards, Ian Beck was bestowed with the honour of becoming Lamma Cricket Club’s 7th Life Member which was warmly received by the room. Overall, there were many things to celebrate during the 2017/18 season, not least of course was winning the Saturday Division 2 'Championship' League. Here’s to continued success in 2018/19 and beyond. Have you gone for the blazer fitting yet? If not, get moving! The material is in, the badges are embroidered and the buttons are pressed with our logo on them. All for the LCC subsidised bargain price of $950 paid to Lamma CC. Why not call up your buddy and get down there soon, it’s only a 10 minute job. Call before dropping in on 2887 3856 or 9457 8500 and make your appointment soon!